I've just come back from Venice: it was my third visit and it's almost becoming a tradition to spend a few days there during Xstmas holidays. 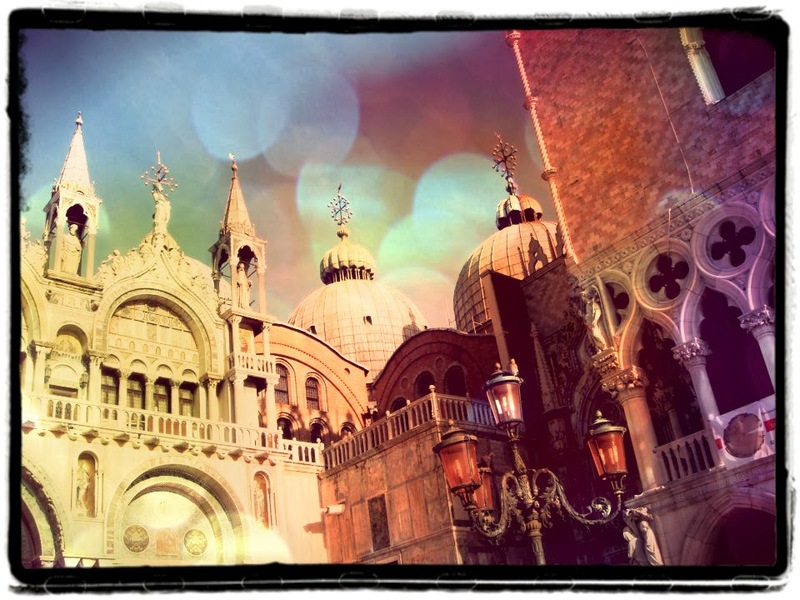 Visiting Venice is always an undeniable pleasure: it's a pretty unique city and I like the fact that you are actually obliged to walk through it, because it hides beauty in every corner and every time it's lovely to discover new spots and sights. Ok, I admit this is an obvious one. But this square is also undeniably stunning and I think it was Napoleon who had defined it "the most beautiful salotto of Europe" - and if even a French emperor admits that, who am I to deny it? The problem with Piazza San Marco is that it is always unbearably crowded (tourists obviously concentrate here and along Rialto Bridge). It also used to be invaded by pidgeons but nowadays there aren't many left in Venice in general. Try to ignore the crowd (but don't stump anyone around while doing it) and just admire things around. There is something beautiful everywhere you turn your head. Everything is here: San Marco towerbell with the golden angel on its top, Correr Museum which is about the history of the city, the Clock Tower, lions with wings everywhere and of course the marvellous Basilica - rich and unique, the real icon of the city. Walking from the square towards the water, follow Riva degli Schiavoni which skirts the lagoon and offer some other great sightseeing: Palazzo Ducale which was the residence of the Doge of Venice, Sospiri bridge (which connects the palace with the prisons) and a beautiful sight of San Giorgio Maggiore island on the other side of the channel. This is mostly enchanting at sunset. 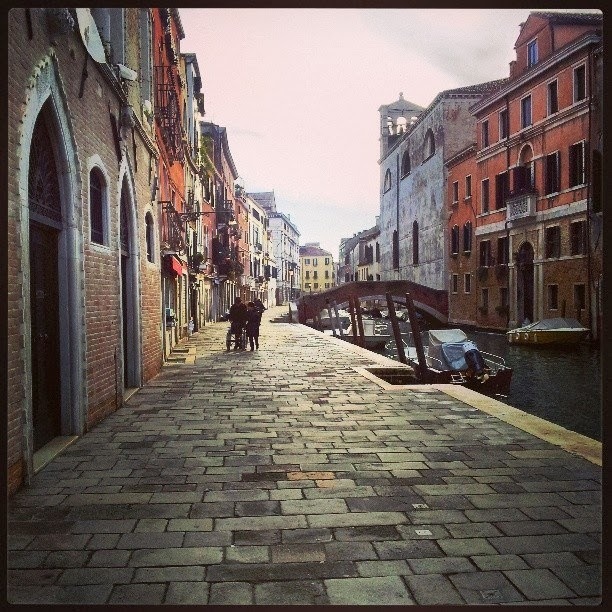 It actually can be considered the main street in Venice and it connects most of the important places in the city. It starts from the SS. Apostoli church and leads you till the railway station. It is surrounded by many sorts of shops, but you can basically use it as a reference point when exploring around. This year I've chosen an hotel in this area and I've discovered how beautiful it is. It actually has some of the most charachteristic bits of the city but it's basically less crowded. It still keeps the walls that Jewish people were not allowed to exit at night (except doctors) and has 5 synagogues - of which just 2 are in use nowadays. There used to be a few thousands of Jewish people living in Venice before WWII, but there are only about 300 these days. The synagogues can be visited with a guided tour that lasts about 1 hour and that I've found really interesting, as it also gives you quite some notions about their religion and history. The tour also includes a ticket to the Jewish Museum, which tells the history of the Ghetto and has a very well equipped bookstore and a kosher café. 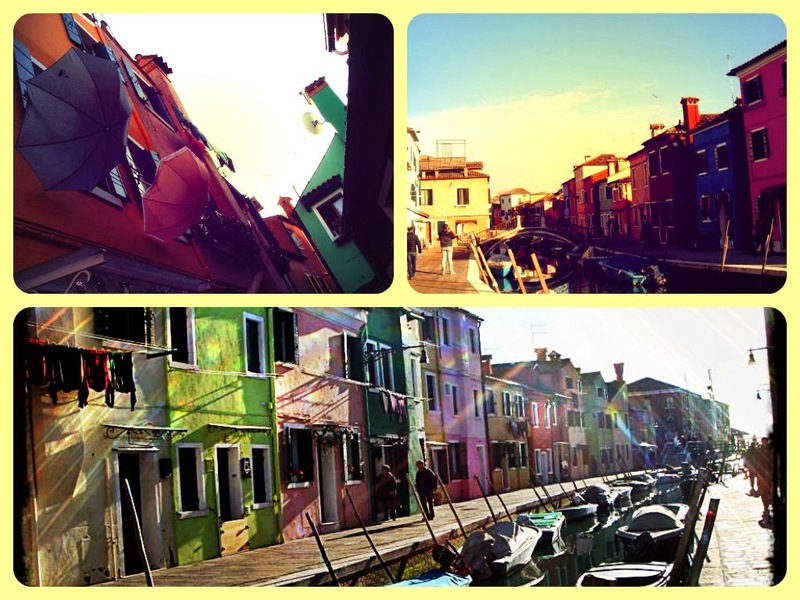 Burano is one of the islands of the archipelago around Venice and it's the one I've enjoyed the most. It's mostly famous for the craft production of merletti (laces), which are some sort of masterpieces, but my eye has mostly been caught by the lovely and colorful houses. Each house has a different color and it's such a feast. Plus there are many cats wandering freely all over - and it couldn't be otherwise, as the atmosphere is really cosy and quiet. I have much more to say about this island, so I have written a dedicated post: check it out! 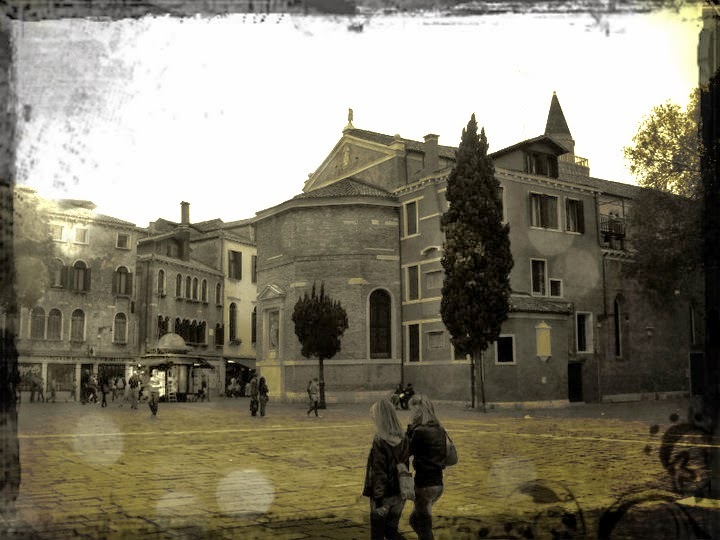 San Polo is my favourite sestiere (= quarter) in Venice. It's very quiet and laid back and it has some pretty "hidden" corners which I've enjoyed to discover. In its campo (= square) you can almost breathe a little country village's atmosphere, with children playing all around and elderly people chatting on benches. 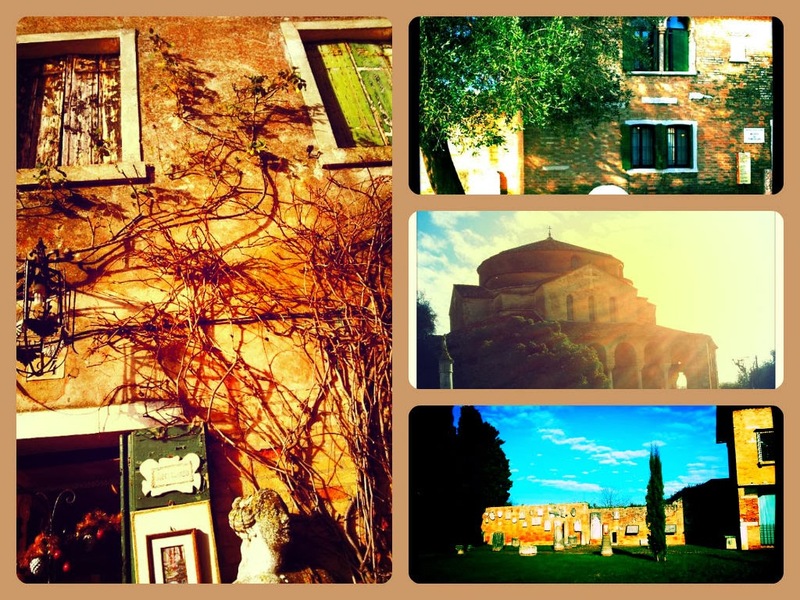 Torcello is another island, close to Burano. Here the atmosphere is even more quiet and peaceful. I've enjoyed its silence and the nature. But what makes it most interesting are the ruins and monuments from the 7th century it hosts. But probably the thing I've enjoyed the most in this island was the pretty old house you can see on the left in the picture below, which hosts an antique shop. The church in this square is probably one of the most beautiful in the city - and surely one of the most massive. 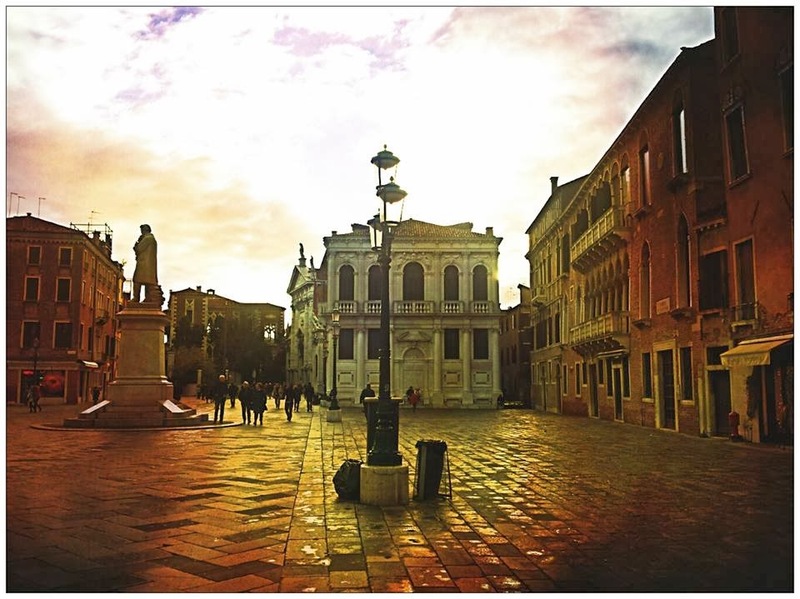 But the reason why I like this square is merely esthetic: it's airy but cosy at the meantime, and the channel + bridge behind the church are one of my favourite pictures' backgrounds for portraiting one's presence in Venice. And the streetlamps! I have a soft spot for streetlamps, they are one of my photographic obsessions. 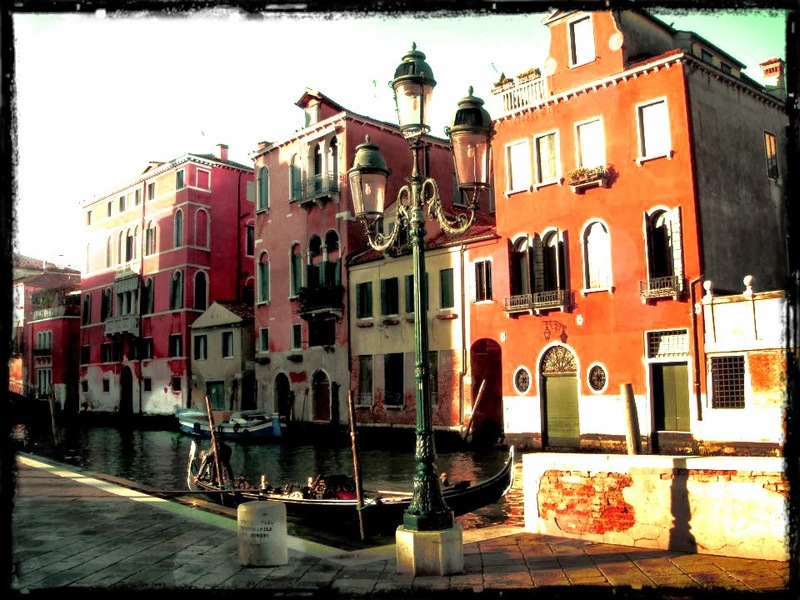 But I find the ones in Venice particularly pretty - they even have pink glass! This place is amazing. The owner has defined it "the most beautiful bookstore in the world" - and, well, I wouldn't know for sure, but I can say it really gets close to this award. You step in and you just get flooded by books. 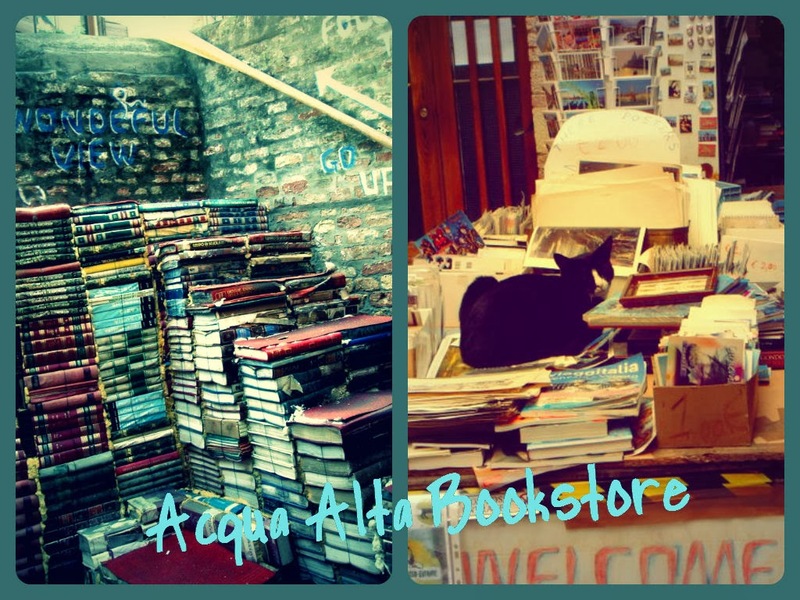 Perhaps it would get a bit difficult if you are going to look for something specifical, but if you love books you can't help adoring this place. 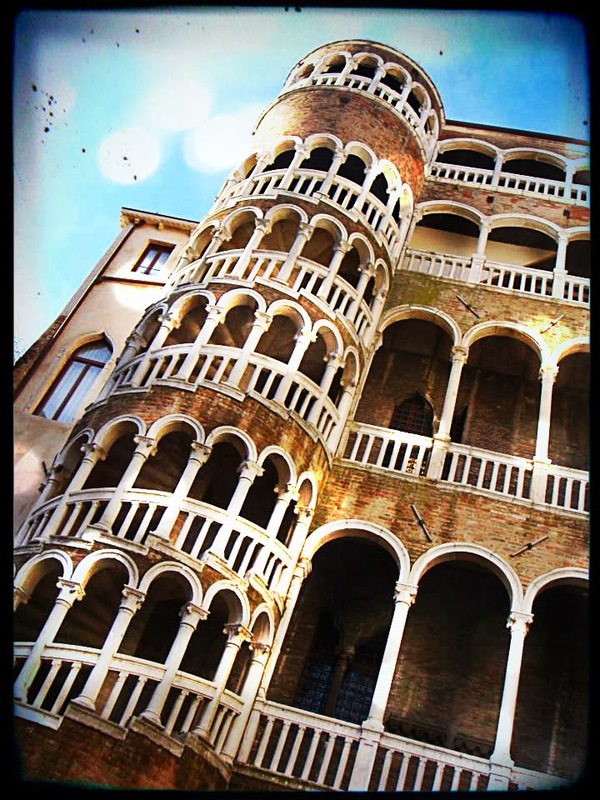 Books are stuffed everywhere, not only into shelves, but inside gondolas and bathtubs as well - and then there is the book stair: yes, a stair made of book, that you can climb in order to enjoy the sight from above the channel. Oh, and there are two cats as well. Isn't it a sort of paradise? It's a gothic palace hidden behind Campo Manin. I find it so charming, it looks like it comes from some fairytale. Maybe it's the fact that it's hidden, maybe it's its spiral staircase, maybe it's the courtyard with the seven wells... I think it has a gloomy appeal that makes it bewitching. Unfortunately the palace is closed, but you can climb the staircase. This gothic palace hosts the university nowadays but it once belonged to one of the Doge's families. I like the architecture and I like the area around it - it is quiet and secluded. Yay for the new blog! I've just been to Venice for a day when I was 16 or so and didn't fully appreciate the value of travel yet ... so now I know I will have to go back here some day. The book stairs are awesome! 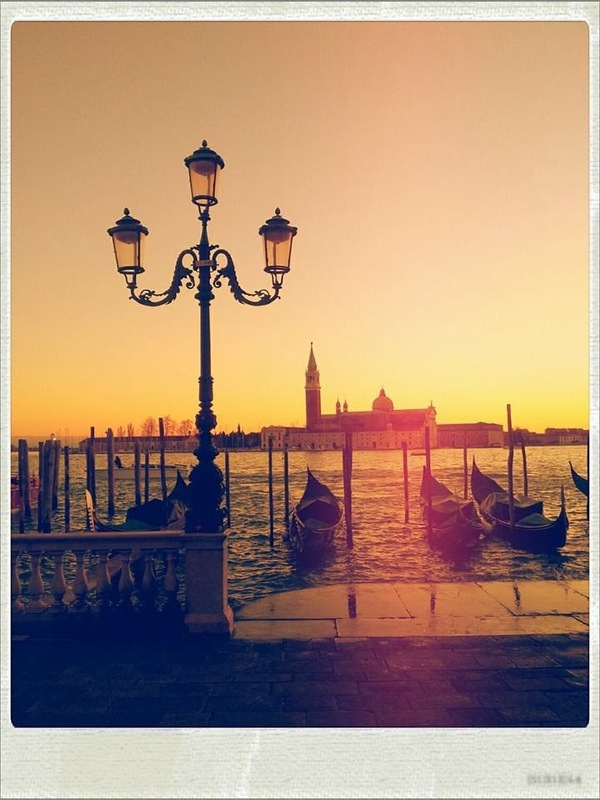 I was actually thinking of you and your trip to Venice yesterday night...thinking that I would really love to visit this charming city again, as soon as possible.